Removing the case to regular district court allows both parties to be represented by attorneys but also removes the $6,000 limit. Removal to district court means the normal rules and procedures apply including specifically procedures related to the presentation of evidence and discovery process. A request for removal may be made by either the plaintiff or the defendant. To accomplish this, a party should fill out and file with the court clerk a Demand and Order for Removal, Small Claims. This must be filed before the hearing starts, but can actually be filed the day of the hearing or anytime before the hearing. The form can be found here. Before the hearing, parties should gather all documents, papers, and other evidence related to the case. Evidence could include a contract, a purchase order, a receipt, pictures, or videos related to the case. Both the plaintiff and the defendant will have a chance to present their side of the case to the court. It is advised that you write out what you plan on saying to the court about your case in advance (to help focus in on what is really important). Also, if there are any witnesses besides yourself who have information that would support your position, you should arrange to have them present at the hearing so they can present testimony to the court. If the plaintiff prevails in the case, the court may allow the plaintiff to request the cost of the filing fee be added to the damages in the case (and ultimately paid by the defendant). Once the case has been filed, the clerk should provide you with the case number. Keep the court case number as you will use it anytime you contact the court about your case (or complete any additional paperwork about your case). Along with the court case number, the clerk should provide you with the location, date, and time of the hearing for your case. Small claims court does not allow parties to be represented by attorneys. Neither the plaintiff or defendant is allowed to have an attorney represent them in the case. Each side is required to represent himself or herself in front of the court. Either side can request that the case be removed to regular district court where both sides can have an attorney. The downside to this is that regular district court utilizes the normal rules of evidence and discovery which means your case will take longer to resolve. The court may make a decision at the hearing after both sides presented their evidence. The court may also take the case under submission (and rule at a later time). If this occurs, then the court will notify both parties of the outcome (usually through mail). Who Listens to a Small Claims Court Case in Jackson County? The phone number for Jackson County District Court is: (517) 788-4260. The District Court can be found online here. What is the maximum amount of money that a Small Claims Court can Award in Jackson County? A small claims court in Jackson County cannot award a party more than $6,000 (not including court costs and other fees). If a plaintiff filed a case in small claims court that the plaintiff believes is worth more, the case can still be filed in small claims court. However, if you do, the plaintiff loses the right to any amount over $6,000. The plaintiff also cannot file an additional case based on the same case to recover the excess amount. 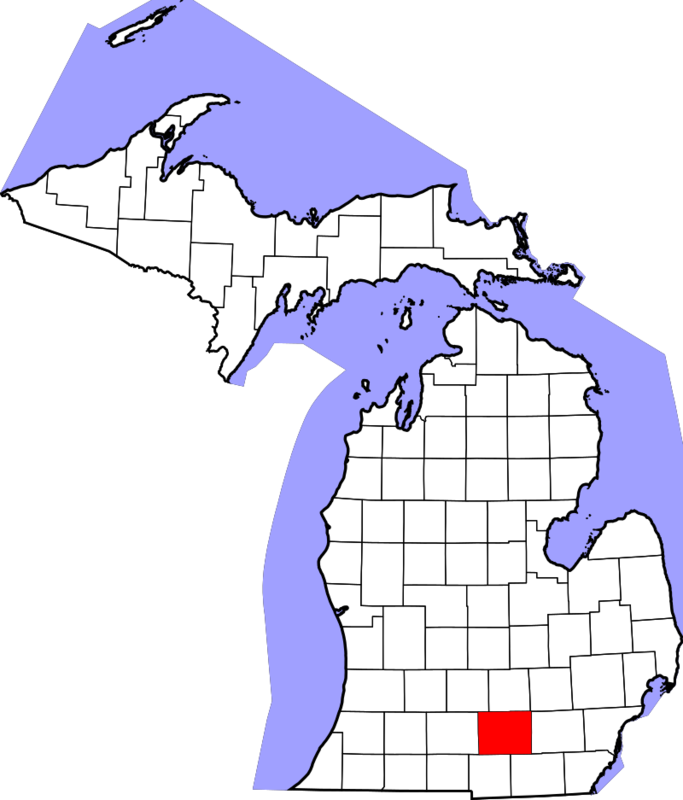 Small Claims Court cases in Jackson County Michigan are heard in 12th District Court. Small claims court is a special court in Michigan designed for people to settle monetary disputes without the aid of attorneys. Small claims court is designed so that a normal person (non-lawyer) can successfully use the court to hear their case. Attorneys are not allowed to appear in court or argue on behalf of clients in small claims court. Because of this, a party does not need an attorney. A party simply states the case in their own words. Small claims court is a special division of 12th District Court. The 12th District Court handles other types of civil cases along with criminal cases. A Small Claims Court case needs to be filed where the defendant’s home is, where the defendant’s business is located (if you are suing a business), or where the transaction or event that the case arose from occurred. This is commonly called venue. If a plaintiff files in the wrong district court, it will postpone your case being heard and may result in you paying multiple filing fees or even having the incorrectly filed case being dismissed by the court. The court staff of the 12th District Court cannot provide advice, but it can tell you the geographic location the court serves. It is recommended you contact the court clerk of the District Court to confirm you have the proper venue.